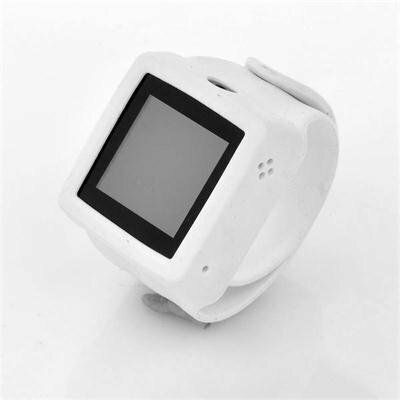 Successfully Added Mobile Phone Watch "Slap-On" - 1.3MP Camera, Touch Screen, Changeable Straps to your Shopping Cart. 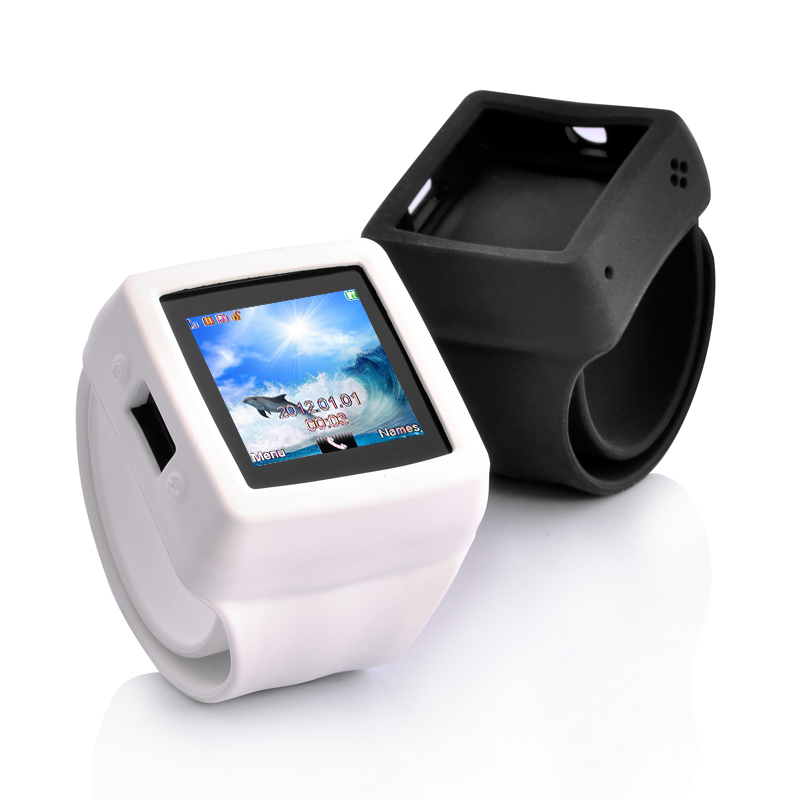 Mobile phone watch with a rubber slap on bracelet featuring an impressive built-in 1.3 Megapixel camera as well as a touch screen to navigate your way through is a cool accessory for anyone wanting some more unique. This mobile phone is not like your traditional mobile phone because instead of going through your bag or repeatedly putting your hands in your pocket to find your phone; this “Slap-On” mobile phone is worn on the wrist. Fixed to a rubber strap this mobile phone can be fitted with a GSM SIM card and has quad band connectivity that can be used for calling, receive calls as well as send text messages. There is a 1.3 megapixel camera that is built-in, which is ideal for capturing the moment or those special occasions. The strap is very flexible and comes with either a black or white strap there for you can interchange the style to match your outfit and mood. There are also a long lasting battery that is included and can be easily attached to the rear of the phone watch and then fitted back into the strap correctly. There is a Micro SD slot that can support a Micro SD card up to 8GB as well as a 5 pin audio port so you can use the included earphones to listen to music. This mobile phone “Slap-On” watch also has FM radio for you to tune in, also can be used as an MP3 player as well as play other media formats such as AVI, 3G, MP3, JPG and TXT formats. This mobile phone “Slap-On” watch combines 90s nostalgia with the rubber flex strap with mobile phone technology bringing together a unique and cool style. This product is in stock and can be dispatched within 24 hours of ordering with a 12 month warranty. Brought to you by the leaders in wholesale electronics and cell phone watches, Chinavasion.